Nannette Gonzalez (left) and Gabby Caraballo set up a booth inside Smart and Final Extra! to gain food donations for BC's Renegade Pantry. 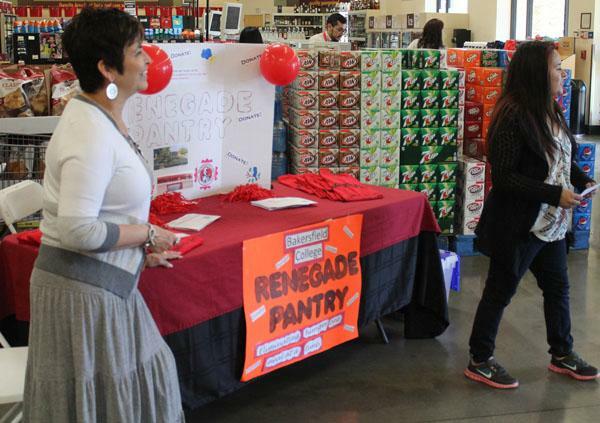 Bakersfield College’s Renegade Pantry hopes to be more active this semester and continually serve those at BC who suffer from food insecurity. Last semester there were few disbursements of food items from the pantry. Co-coordinator Gabby Caraballo said that the pantry is now better able to serve BC. 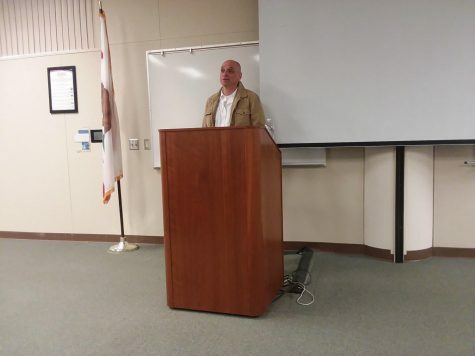 “I started last November as coordinator and I was really trying to build more partnerships,” Caraballo said. Now, for the spring semester of 2015, the pantry has partnerships with Smart & Final Extra!, Fresh and Easy, Vallarta Supermarkets, Sam’s Club, and even Panera Bread. The pantry will disburse free bread daily, Monday through Thursday from 11 a.m. to 2 p.m. The bread comes from Panera and it is the responsibility of Caraballo and co-coordinator Nannette Gonzalez to pick up the bread from the bakery the night before. “We applied for the day-end baked goods and after two weeks, we were approved,” said Caraballo. The “doughnations” from Panera continue as long as the Pantry ensures to pick-up the food items on their scheduled days. If the food does not get picked up, the contract is nullified. 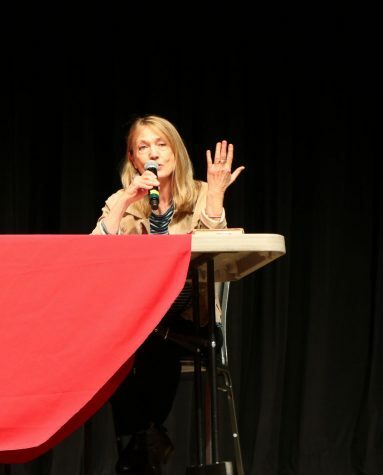 Caraballo is excited to have Panera’s help, but she is also concerned about pick-up during spring break and other holidays. Students can sign-up for the free bread at the Pantry location. A coordinator is there to help students sign-up online. To receive bread or other disbursement items, students must sign-up online each time. Caraballo said the new online sign-up has received mixed reviews. The Smart & Final partnership allows for the pantry to have a booth at the store for customers to donate non-perishable items. On March 13, the pantry had a donation booth inside the Smart & Final Extra! location on Stockdale Highway. With the booth, the pantry hopes to raise awareness of food insecurity experienced by BC students. 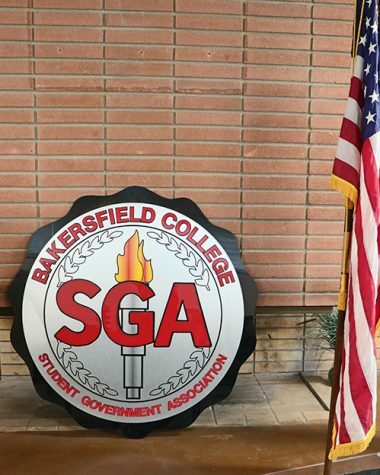 Caraballo said that some residents of Bakersfield don’t believe that students are dealing with food insecurity. She said that people may think that students are well off because of financial aid and there is a stigma associated with food insecurity. 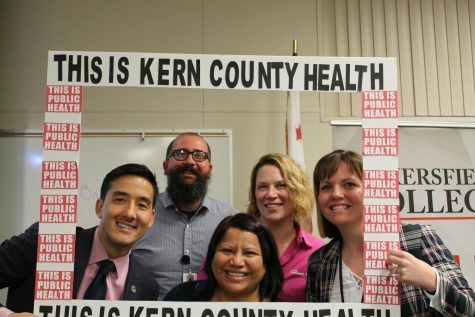 While some individuals are not very sensitive to the issue, the coordinators still believe it is important to share the issue with others in Bakersfield. Caraballo said that the first person to donate food to the pantry at Smart and Final was a BC alum. The Pantry has also developed a partnership with The Cookie Jar bakery downtown. The bakery donates cookies and the pantry freezes them to disburse them to students. The Pantry also held a bake sale on March 12 to raise funds to stock more food items. Cookies from The Cookie Jar were sold and cupcakes from Panera were also available. The Pantry’s next goal is to have more hygiene products and other sundries available for disbursement. The coordinators hope to get donations from hotels to increase their stock. The Pantry is run through the SGA and Gonzalez said that she is happy to help the BC student body. “The Renegade Pantry is an incredible program and it shows that SGA really cares,” said Gonzalez. 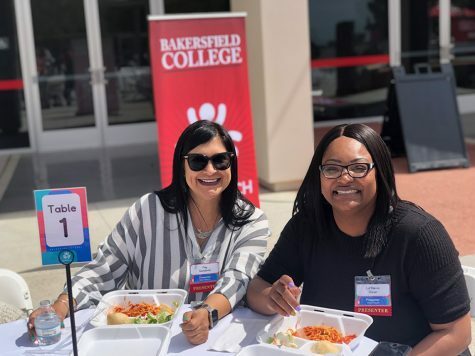 To learn more about the Pantry or to sign-up for monthly grocery distributions or daily bread distributions, visit www.bakersfieldcollege.edu/campus/pantry.